A team of 16 walkers from The Property Centre, a leading Gloucestershire & Worcestershire Estate Agents, took on the 100km challenge of the Cotswold Way to raise money for National Star during the charity’s 50th anniversary year. The Property Centre, celebrating its own 20th anniversary year in 2017, is known for undertaking exhilarating challenges to help local charities, and this walk proved to be their most gruelling challenge to date, completed at the peak of a heatwave. The team trekked for 36 hours to complete the challenge, raising over £3,000 for National Star. 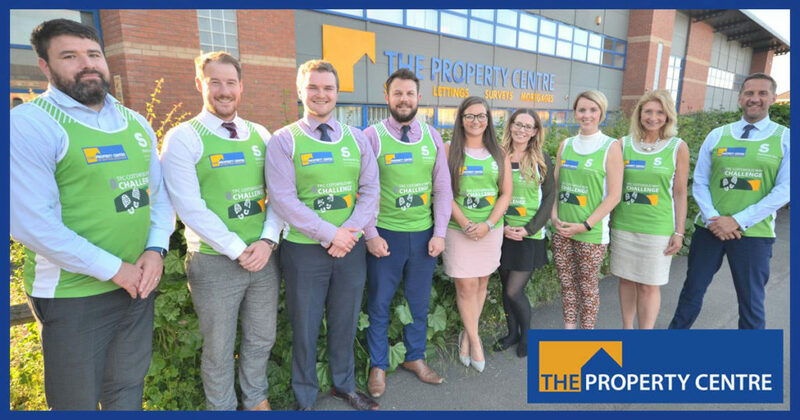 Having previously supported National Star as its Charity of the Year and sharing anniversary years in 2017, The Property Centre team was keen to raise the bar with their fundraising event for this great local cause. Every penny raised through this challenge has enabled National Star to continue transforming the lives of young people with complex disabilities.